From a cursory reading of the patch notes there don't seem to be any significant meta changes that would alter the build. 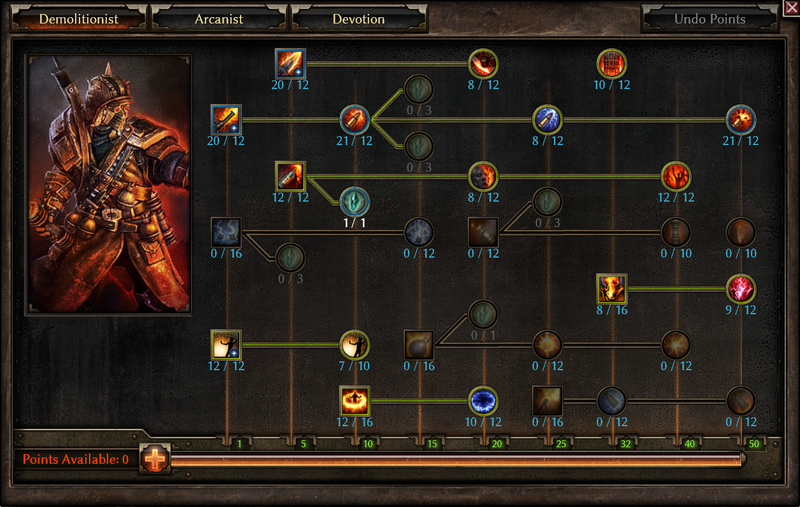 The only noticeable change on my char is an increase in Fire Strike sheet dps of around 6%. Other demo changes should increase overall dps slightly as well. A quick Fabius run seems to confirm that, with a rough kill time of 25 seconds, which isn't bad at all for a Gunslinger! No changes to the build, just a slight buff to dps and hp. Changed a few things around for 1.0.0.8 based on nerfs / buffs. Also, thanks to kallman89 and Chthon for suggestions. If you want more points for anything take them out of Reckless Power/IEE/Maiven's. I kept Maiven's for a small amount of Absorption (and to cap Stun Resist), but for a lot of bosses it isn't necessary - feel free to skip it. The 2nd ring, pants, and boot slots are flexible. Use whatever you have to cap resistances and get some ADCtH. I just have ADCtH on Solael-Sect pants, but you could go with a Lifegiver signet or a rare, whatever you have. Change pants and boots accordingly to cap resistances as much as possible. All to Physique for Health and DA. I also use Warpfire and Aldanar's Vanity on switch, mainly for mobility with Riftstone, but it also improves cast speed for Thermite Mines, BWC, and Flashbang. Obviously you don't do this in the middle of a fight, but if you are Chaos Striking around and you come across a hero it's very efficient to lay down your mines and cast Flashbang and BWC before switching to guns and engaging. 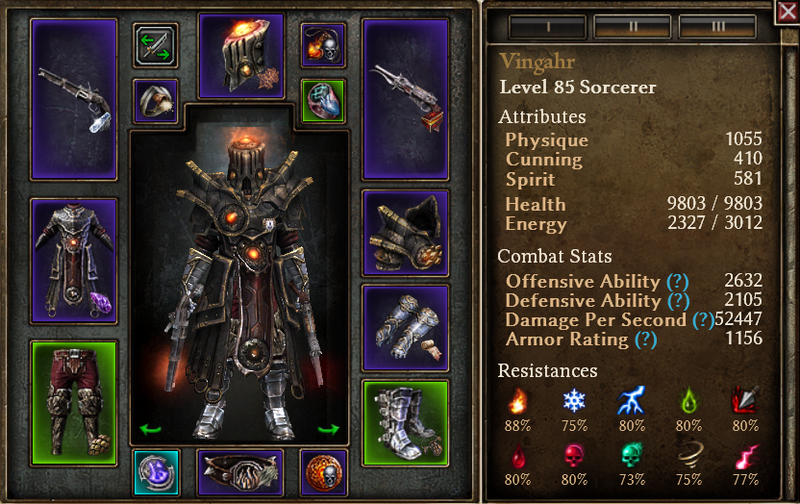 This is an updated Gunslinger Sorcerer build that is Nemesis capable. 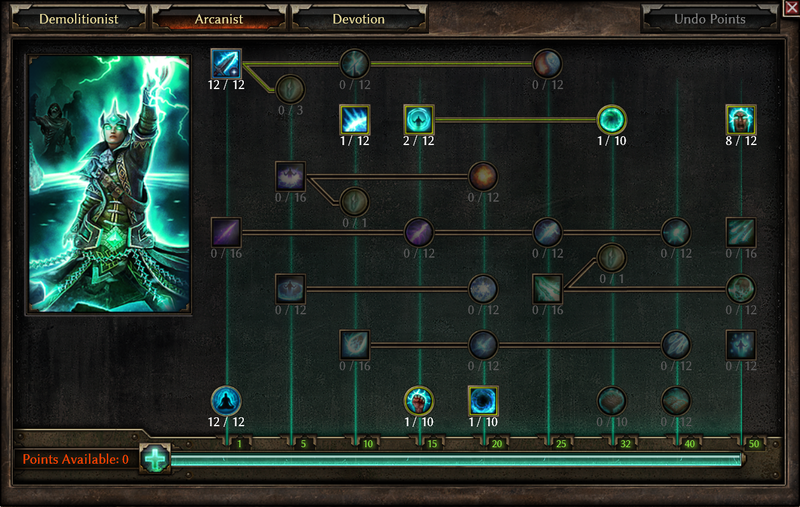 It's an end-game optimised build, so is fairly gear dependant, although you can adapt it to what you have available. The general principle is to stack resists reduction, damage, and Attack Damage Converted to Health in order to stay alive, whilst capping resistance where possible and having enough DA to not be crit. 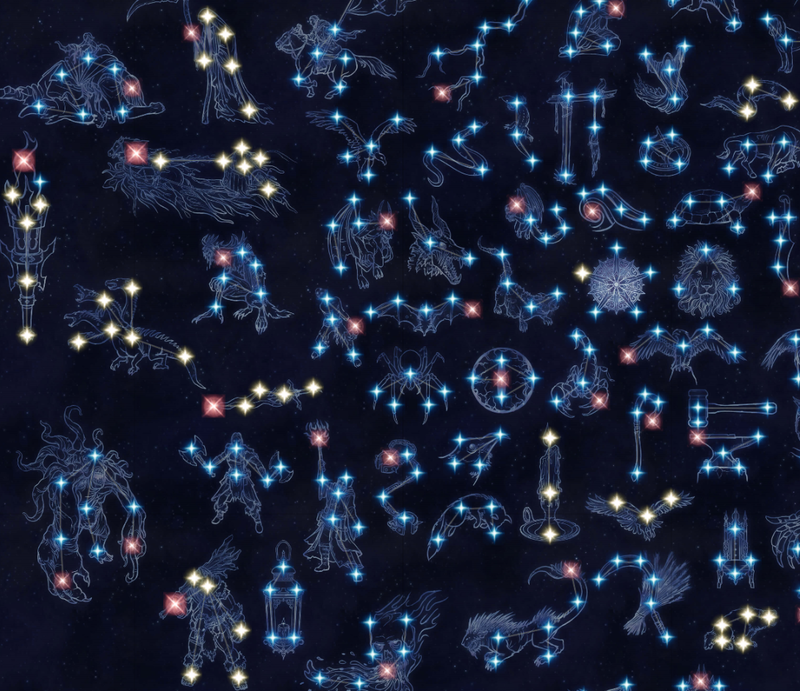 Unfortunately, Gunslingers are just about the least supported playstyle in Grim Dawn (currently...bring on the Inquisitor! ). Whilst there are a number of items that enable dual wielding of pistols, there are no skills or devotions that directly support or boost it. They are fun to play though, and this is currently my most successful version of a Fire Strike Gunslinger Sorcerer. It can easily kill all Nemesis bosses, and also Mad Queen with a bit of kiting. I haven't yet tried it in Crucible. 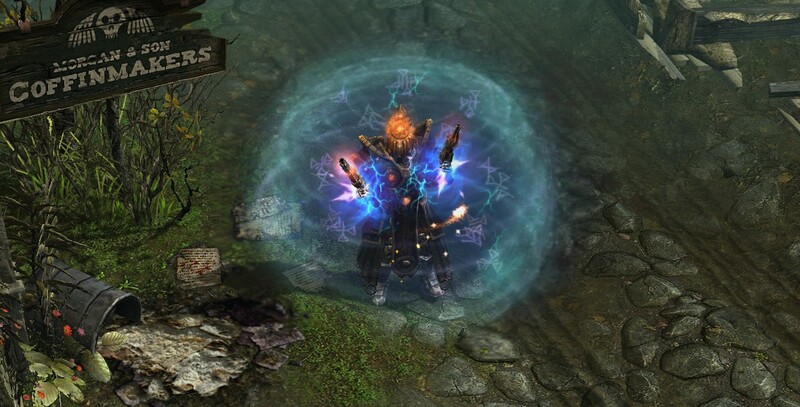 Given the current pistols and sources of -rr available, the most obvious damage combo for Sorcerer is Fire, with Chaos as a secondary. Last edited by Ving; 07-13-2017 at 03:17 PM. For some reason I imagined a gunslinger sorc with dual albrecht's duality plus dual arcanum sigillis plus iskandra set. Your getup looks very pyro-ish to me. If you remove Viper then you wouldn't have enough Chaos affinity for Revenant/Torch, or enough Primordial for Solemn Watcher. Oh sorry. All in Physique as Sorcerer is low on Physique, and therefore Health and DA. Updated. Can you help me for starting with this build please (I'm sorry i don't speak english very well).